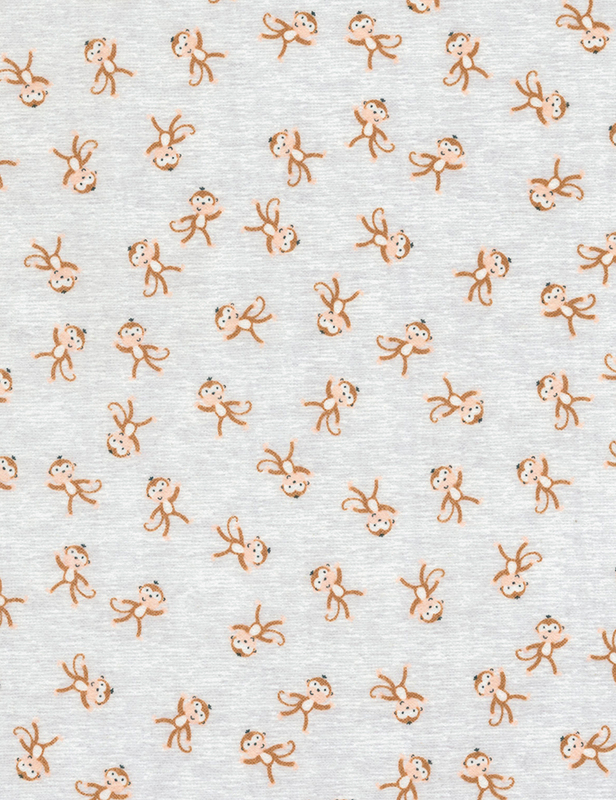 Grey textured flannel with tossed small brown monkeys. From Timeless Treasures. 100% cotton flannel. 43"-44" wide.